RiverBend Motorcoach Resort RV Lot 34 is located just steps away from the Nature Center with a WiFi Hotspot, dock on Welcome Lake, abundant crafting activities, and seminars making this property a crafters dream. 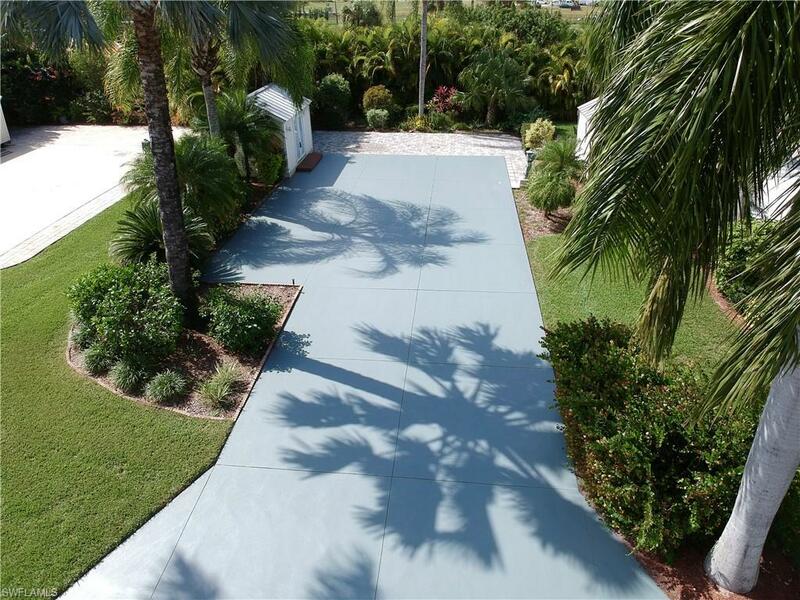 Beautiful landscaping, a large paver patio and a 10x14 finished coach house with 1/2 bath, W/D hookups, A/C and ample storage options make this the ideal location to enjoy the SW Florida resort lifestyle. This gorgeous Class A Motorcoach Resort is full of friendly people and provides a special sense of community. The streets and lots are wide and designed for ease of use. The resort includes over 1000â of river frontage on the Caloosahatchee River with boat ramp, slips and trailer/boat storage. There is a Welcome Center with gated entrance and 2 clubhouses that include restaurant, full bar, dining areas, billiard room, library, exercise rooms and laundry. RiverBend also has an R/C Speedway, Railroad Village and Sailing Club. Amenities include heated pool, 2 jacuzzis, pickle ball, bocce ball, volleyball, shuffle board, covered picnic areas, BBQ grills, putting green, horseshoes, crafts and a dog park. Guest cottages are available to rent for visiting friends and family.